The Junkers Ju Entwicklungsflugzeug 61 (EF development aircraft) was a project for a Höhenschnellbomber (high-altitude fast bomber). Designed in March 1936, the aircraft was powered by two Daimler-Benz DB 600A inverted V-12, liquid-cooled engines, each developing 950 hp. It was intended to have a range of 2,000 km, a maximum speed of 350 km/h (217 mph), and a maximum ceiling of 15 km (49,300 ft). 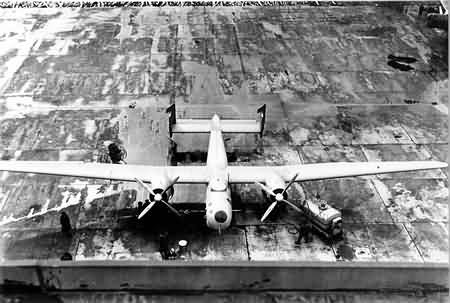 It had a span of 27 m (88 ft 7 in), a length of 14.34 m (47 ft 0.75 in), and could carry a bomb load of 800 kg. Two prototypes were built. In March 1937, the first Ju EF 61 E1 (V1) made a flight to a height of 3,500 m, but became uncontrollable forcing the crew to bail out by parachute. In December 1937, the second prototype Ju EF 61 E2 (V2) made a flight that ended in a crash. After this failure, further development of the machine was abandoned, but the design led to the development of the high-altitude reconnaissance and bomber Junkers Ju 86 P-1 and P-2.